Lowrance, a world-leading brand in fishing electronics since 1957, just announced that its Lowrance LiveSight Sonar transducer will be available for consumer purchase in May 2019. Immediately compatible with Lowrance HDS LIVE displays – America’s Number One Fishfinder – LiveSight Sonar gives users the ability to track lure and fish movements in real time with a wider coverage area and at greater distances. LiveSight Sonar is the perfect complement to Active Imaging™, which provides the highest-resolution Side and DownScan Imaging™ for finding structure. 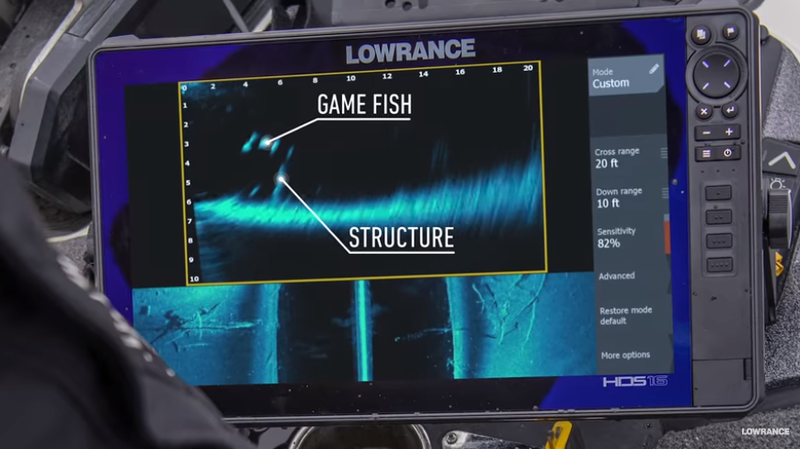 All this, plus CHIRP Sonar to easily identify fish targets, makes HDS LIVE the complete package for anglers looking for the ultimate fishfinding solution. The base LiveSight Sonar transducer for HDS LIVE will ship with three mounting brackets, giving anglers the flexibility to mount the transducer as needed. When LiveSight Sonar is mounted forward-looking on the trolling motor shaft, anglers can cast a lure into the sonar beam and track the lure’s presentation, as well as fish movement – turning every cast into a sight-fishing experience. When mounted downward-facing on the trolling motor or transom, LiveSight Sonar provides anglers with a real-time as well as a traditional sonar view. The combination of Lowrance’s trusted traditional sonar and the new innovative LiveSight Sonar images showing target and lure movement provides the ideal view when targeting fish swimming around structure beneath the boat. This also eliminates the need to mount multiple transducers. When combining LiveSight Sonar forward-looking trolling-more mount with the Lowrance Point-1 GPS antenna, an innovative on-chart indicator shows the direction the transducer is pointed, allowing anglers to line up on a waypoint or pinpoint the area they are fishing. “We are excited to deliver LiveSight Sonar for our HDS LIVE users,” said Leif Ottosson, CEO, Navico. “The detail and incredible situational awareness provided by seeing moving images in real-time gives anglers a new understanding of what is below and ahead of their boat for an unprecedented fishing advantage”.